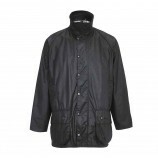 Barbour clothing is synonymous with high quality, durable country wear continuously embodying the look and feel of classic country clothing style and reliability for men, women, and children. 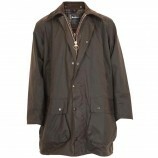 Here at Best in the Country we have been stocking Barbour country wear for almost 30 years and it remains a best-seller, consistently popular with our customers. 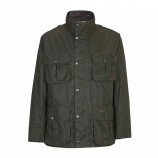 Barbour is an authentic British brand providing a wardrobe of country clothing suitable for many country pursuits including farming, fishing, and hunting. 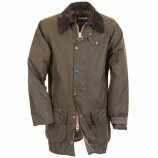 Barbour understands country living and those who love the country. It is a 4th generation family owned company with an uncompromising dedication to its core values of heritage, durability, fitness for purpose and attention to detail. 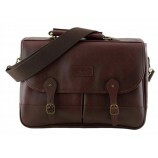 J Barbour & Sons was established in 1894 in the North East of England. Today Barbour's headquarters are still in Simonside, South Shields. Although it sources products from around the globe, Barbour wax jackets are still manufactured by hand in the factory in Simonside and each year over 100,000 Barbour jackets are processed via the central, subsidiary and local customer service operations. There are now over 2,000 Barbour products across the two seasons and the collections now also cater for Ladies and Children. 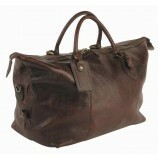 In 1974 Barbour received its first Royal Warrant by the Duke of Edinburgh. 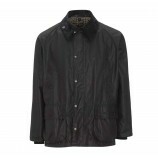 Many Barbour clothing classics, such as the Barbour Bedale (short lightweight thornproof short riding jacket) the Barbour Border and the Barbour Beaufort jacket have been around since the 80s and yet remain true classics in country style. 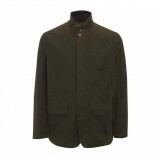 The lightweight Barbour Border jacket epitomised the growing trend of smart casual wear as people increasingly began to wear Barbour for everyday activities. 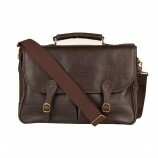 In 1982, Barbour received the second Royal Warrant by Her Majesty the Queen and in 1987; the third Royal Warrant was awarded by HRH the Prince of Wales. 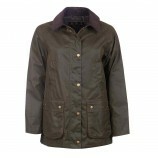 Broadening out from its country wear roots, today Barbour clothing is designed for a full country lifestyle. 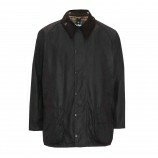 As well as Barbour jackets and coats, the Barbour wardrobe includes trousers, shirts, socks, midlayers and knitwear. Recently the brand was tipped as one to watch as younger customers discover Barbour's unique benefits. 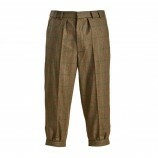 Regardless of its expansion and broadening customer base, Barbour clothing remains true to Barbour’s core values as a family business which espouses the unique values of the British Countryside and brings the qualities of wit, grit and glamour to its beautifully functional country clothing.